Time has past since I bought my iPhone actually two years this December, and one upgrade later so I thought an all time top 10 app post was over due. Even though some of these apps have been around for a while and some are pretty new I consider them my all time favorites as I use them all the time. So let's get to it! The apps are in the order I use them the most being #1 the one I use the most and my all time favorite. 10. Gaggle Social Web Browser - Sounds like Google and it's pretty much the same. It's a search app that uses Google to find the information but with the ability to share the sites by tapping on the Share button. You can share on Facebook or Twitter or bookmark the site on your iPhone. Sharing with Tumblr, Digg and Delicious is coming soon. The app is very handy and it's free. 9. 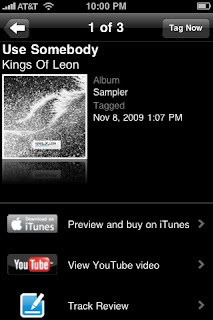 Shazam - Love this app and the fact that it's free is amazing to me. This app recognizes the music currently playing around you and gives you the artist and song name along with information on where you can buy the song and view the available videos. 8. Animoto - is a service that allows you to create free short videos by using your still life pictures. You can also create and download unlimited full-length videos for a minimal yearly fee which is well worth it when you see the professional job this service does with your pictures. You can add music, text, and highlight certain pictures and the services mixes it together to form a masterpiece. You can also access the videos you have created online via the app. Cost of the app, FREE. 7. CheckPlease - Tip Calculator - Ever been at a group dinner party and have to split the bill and no one has a calculator? 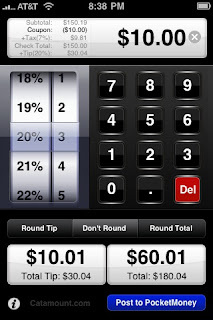 This nifty app will add the bill amount plus tip, and then split it between the number of people you choose. You can also opt to not tip on taxes, apply a discount or coupon amount, round up or down on tip and total and best of all you can post the amount of the bill directly to PocketMoney. I have the paid version of the app which is $0.99 but they also offer a lite version for free. 6. PhotoArtist - The name implies it all Photo Art. You can select any of the photos in your library or take a new one and then apply any of the following six filters: cartoon, watercolor, illustration, halftone, mono, and pen and your photo is turned into art. It's not a photo editor likePhotogene, it converts your photo's into artwork as the name indicates and it does a great job at it. It's only $1.99 and I think it's well worth it. 5. Photofunia - There are lots of app that let you place your picture into a frame or even into a character but most of the work is done manually by you. With Photofunia all you do is select the photo from your camera roll or take a new one, select one of the 100 effects and this nifty free app recognizes the face in the photo and places the face where it goes. It's very neat, and the results look very professional. 4. Instapaper - This app let's you save articles and web sites for offline reading. You can categorize your articles by folders, star rate them, and share them on Twitter and Tumblr and if you have Echofon Pro it integrates with it. You can also browser the app's directory for more reading material or subscribe to some one's starred items and let them recommend more articles. I have the paid version which is $4.99 but they also have a free version available. 3. Facebook - After version 3.0 this app became amazing. Now you can see pretty much everything that goes on Facebook. The app is free and the only downside is that the videos do not play on the iPhone. 2. Echofon Pro - This app use to be TwitterFon Pro, a Twitter app and it goes for $4.99. You can manage multiple Twitter accounts, it has instapaper integration, push notification for mentions, Twitter search and trends, photo and video upload and so many other features. There is also a free version available. 1. 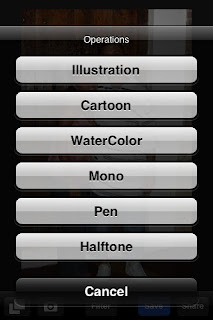 Photogene - With Photogene you can crop, apply filters, color adjustment, exposure, and saturation. You can also enhance your photos with effects, captions, frames, borders, and even rotate the image. You have the option to edit photos from your library or taking a new one. Photogene brings photo editing to another level and it's just so simple to use. The app is $2.99 but it's well worth it. Some people prefer the new PhotoShop app but to me that app doesn't do half of the things Photogene does so I'll stick to this one for now. Now of course these are only 10 out of 110 apps I have but these are the ones that make my life just a little easier. What about you? What apps are your all time favorites? An artsy person fulfilling my curiosity by figuring out the Hows & expressing them in some sort of creative outlet. I love art in all forms, technology, music, comedy, movies & travel. 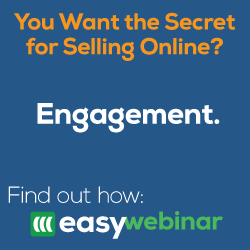 FAQ: What is Google Wave? You've probably heard about Google Wave and how everyone is trying to get an invite to try it out but do you really know what it is? This video gives you the simple round down on Google Wave in a very unique way. FAQ: How can I view the links I've posted on Facebook? I just like to share information, seriously!